Here at Discount Displays, we do things a little differently to ensure you can get the best possible exhibition stand within your budget. 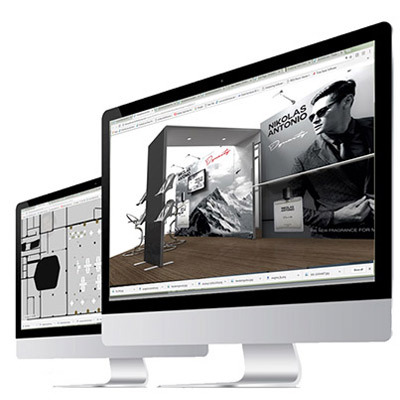 To make the process easier, we have created a range of over 50 modular exhibition stand ideas which can be accessed using our exhibition stand wizard. This allows you to either purchase the stand online, or customise it by changing the size, or adding components to ensure it fits your exact requirements. We also offer a bespoke 3D design service. Simply complete our design brief and one of our displays experts will complete a free 3D design render and quotation for your dream exhibition stand. 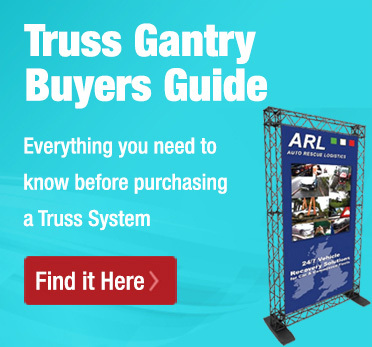 Not only do we offer this but we are currently one of the only companies in the country offering our folding truss system. This lightweight and highly modular system is an incredibly cost-effective way to exhibit. Unlike other companies, we also print all of our graphics in-house, meaning that we can keep costs low and quality high to ensure your total satisfaction. With over 30 years of experience in the displays and exhibitions markets, we are the first choice when it comes to a modular exhibition stand for your next event. 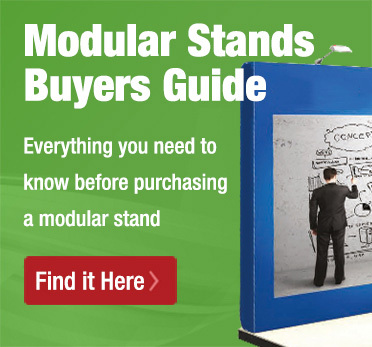 Buying an exhibition stand made simple. Just select your options, choose a design that you like then either checkout online or choose to customise your kit. Bring your ideas to life. Fill in our online design brief for a FREE Quotation and 3D design on Truss and Vector systems. Full assembly and breakdown service available throughout the UK. Our range of stands are designed to cover every eventuality when it comes to exhibitions and trade shows. The versatility of modular stands makes them the ideal choice for regular exhibitors due to the staggering number of configurations that can be made. Need to add extra room to your modular stand? No problem! They are designed for just that scenario, making them a cost-effective alternative to traditional stands that don't offer as a much flexibility. Looking to shop by sizes rather than product type? We have neatly divided our modular stands into small, medium and large for your browsing convenience. These stands go up to 12m² and can be used on their own or combined to make up a larger display. These professional modular stands come at discounted prices with in-house design included. Any custom printed graphics are produced in-house to ensure a stunning finish. Looking for something a bit bigger? 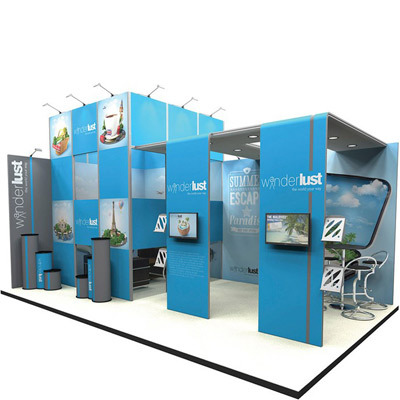 These stands run from 13-25m² and are a cost-effective alternative to custom build exhibition stands. Designed to make an impression, these medium modular stands are available in a range of different designs and sizes. Combine with event furniture and you've got a fully functional exhibition stand guaranteed to make an impact. 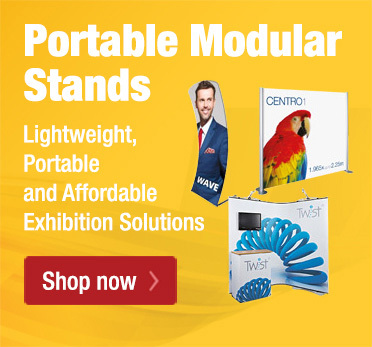 If you have a large floor space to work with and you want an attention-grabbing stand then look no further than our range of large modular exhibition stands. This range is over 25m² and can be used many times over, offering real lifetime value for money. Once you have chosen your design you can then send us your artwork, or we can design them for you. Once approved we will then print your graphics in-house to ensure your promotional message really makes a statement. A transport and full installation service is available or you can install yourself if required. Looking for something a bit smaller? Check out our range of portable exhibition stands for cost effective solutions.